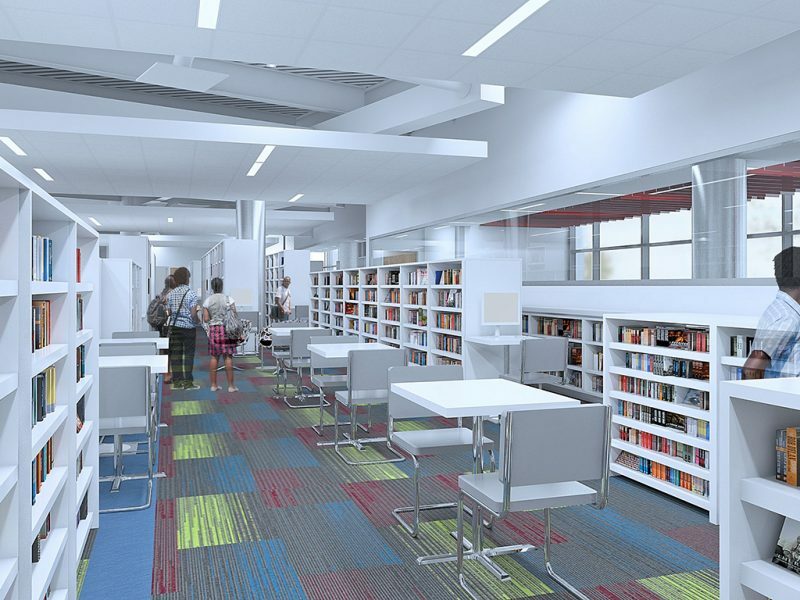 Moody Nolan was selected to plan, program and design a state-of-the-art Library/Learning Center Building. The proposed facility is approximately 137,000 sq. ft. focused on a modern design that evolves in bold new ways to meet the current and future needs of Texas Southern University’s students. 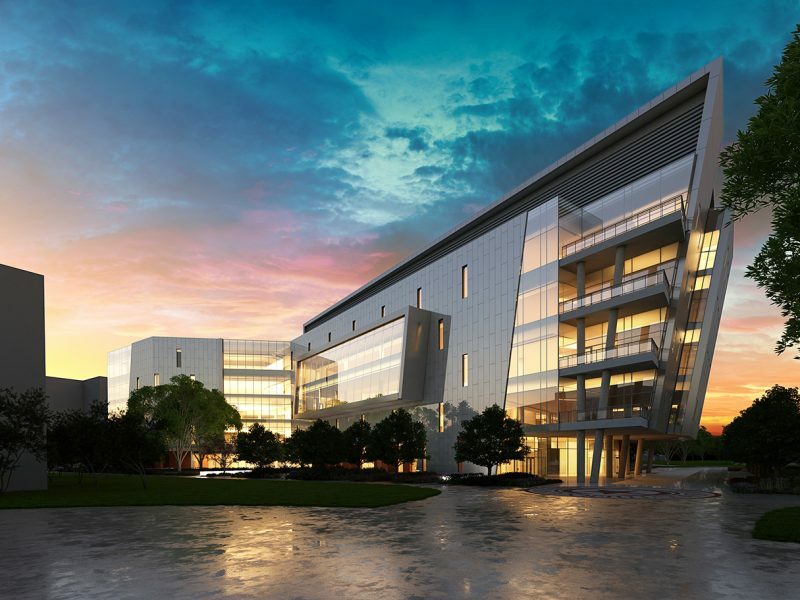 The structure contains state-of-the-art technology which will foster a collaborative learning environment. 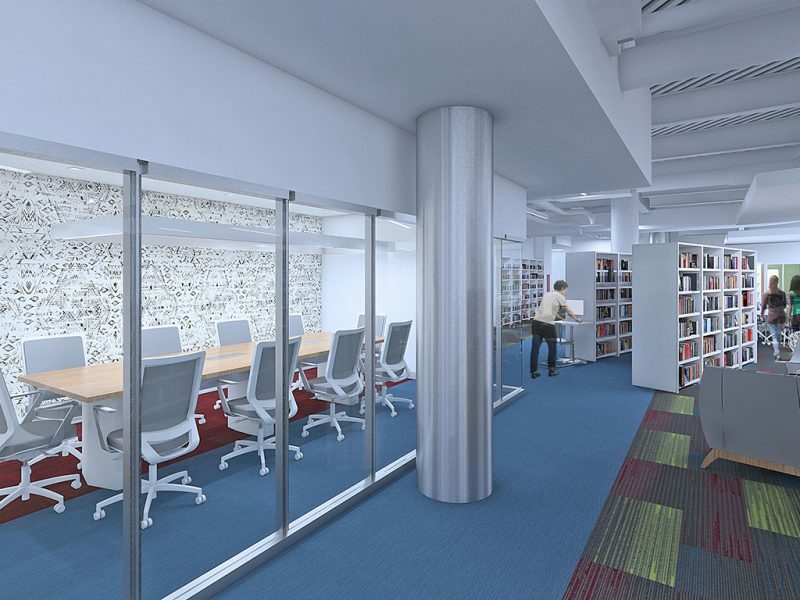 From the beginning of the design process, a coalition of individuals representing TSU Students, Facility, Administration, and Community members, participated in meetings, surveys, and opinion gathering media to share ideas and collect data, imperative to the development and implementation of the new library/ learning center. 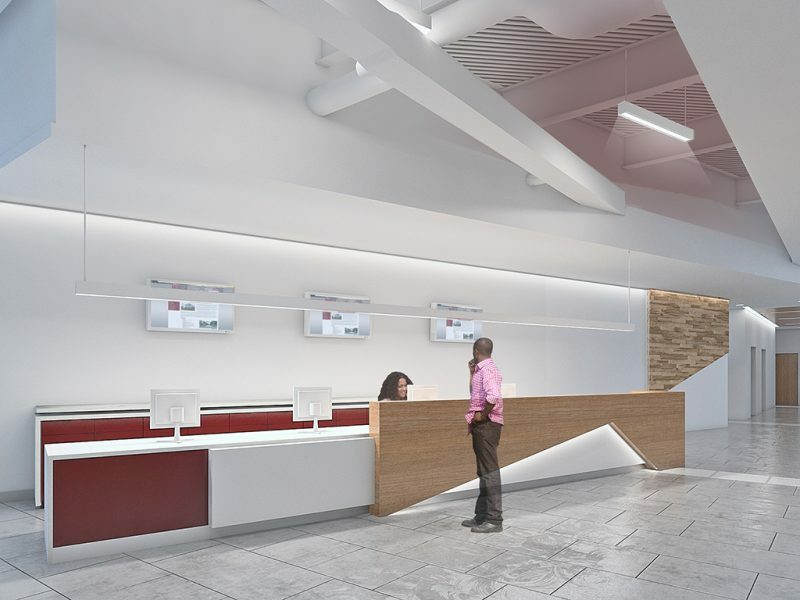 The contemporary, angular design helps draw you inward toward the main lobby space and up through a five-level atrium which serves as the heart of the building. 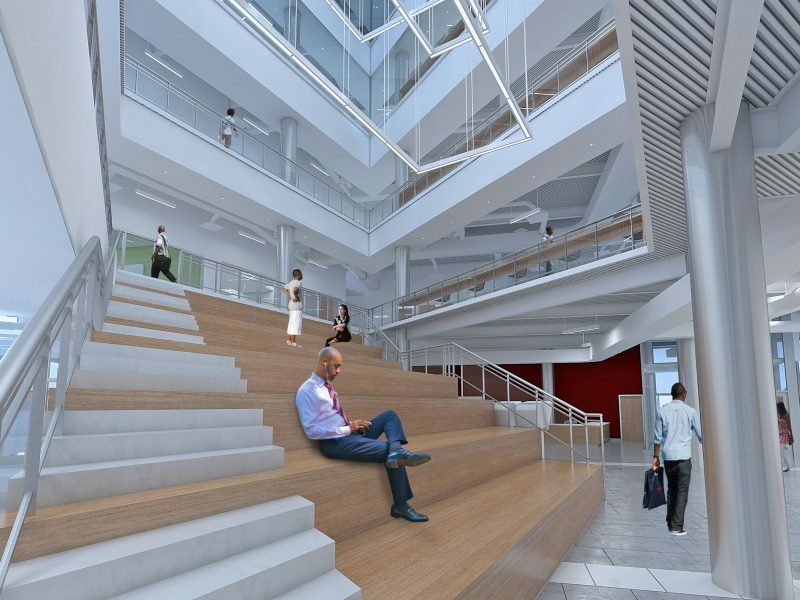 The entire building encompass a café, classrooms, book stacks and computer labs, study areas, offices, meeting and board rooms, as well gallery space. Additionally, it will house the TSU’s faculty senate, IT department, serve as an honors college, and provide an alumni suite.